Crovect Pour-On 2.2lt is for the treatment and control of flies, ticks and lice in sheep. 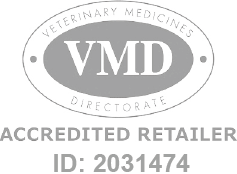 Crovect Pour-On - 2.2lt is a Prescription Only Veterinary Medicine and by law requires a prescription from your vet. Crovect Pour-On 2.2lt is for the treatment and control of headflies. For the treatment of tick infestation with a persistent efficacy of 10 weeks (the majority of ticks killed within 3 hours), and treatment of biting lice in sheep. For the prevention and treatment of blowfly strike on sheep.